Come&Eat is a perfect solution for presenting your restaurant in the most extraordinary way. 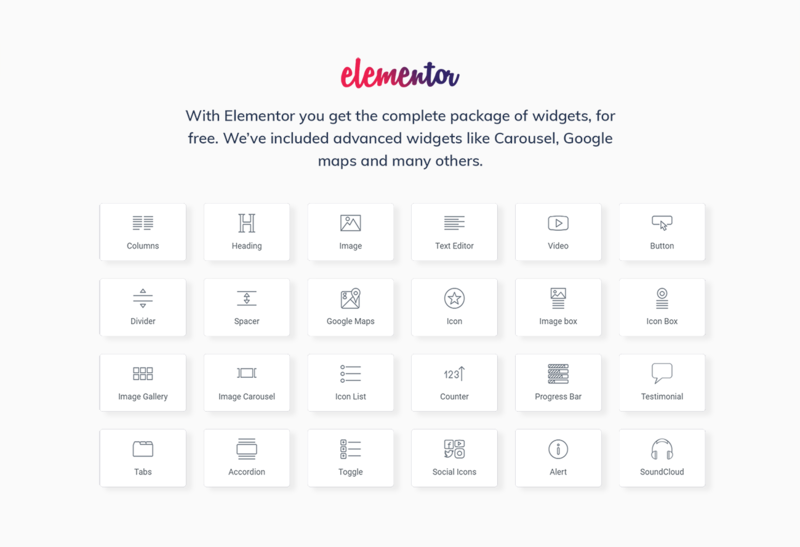 This theme has a modern design and powerful functionality. You will be able to highlight all the main features of your restaurant easily. You will showcase the menu and bright images of dishes served in your restaurant in the most engaging form. 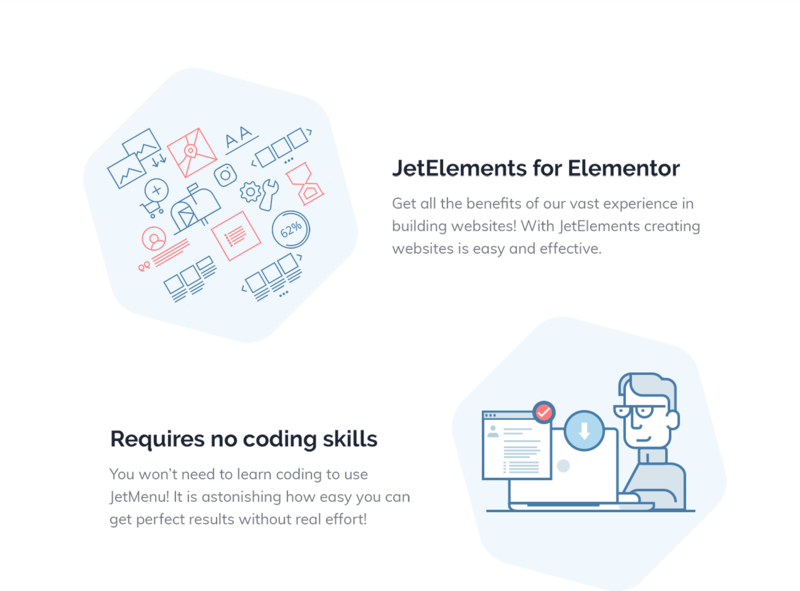 You will enjoy the process of customizing your website using a great Jet plugins toolset for Elementor page builder. You will be able to add useful JetElements widgets to the pages in a drag-n-drop way. With JetThemeCore plugin you will insert pre-designed blocks on a proper topic in the pages. JetMenu plugin will allow creating a stylish mega menu with drop-down sections and applying different style settings to it. Using JetTabs plugin you will organize content into well-structured tabs and accordion blocks. You will create a convenient booking form using Contact Form 7 plugin. 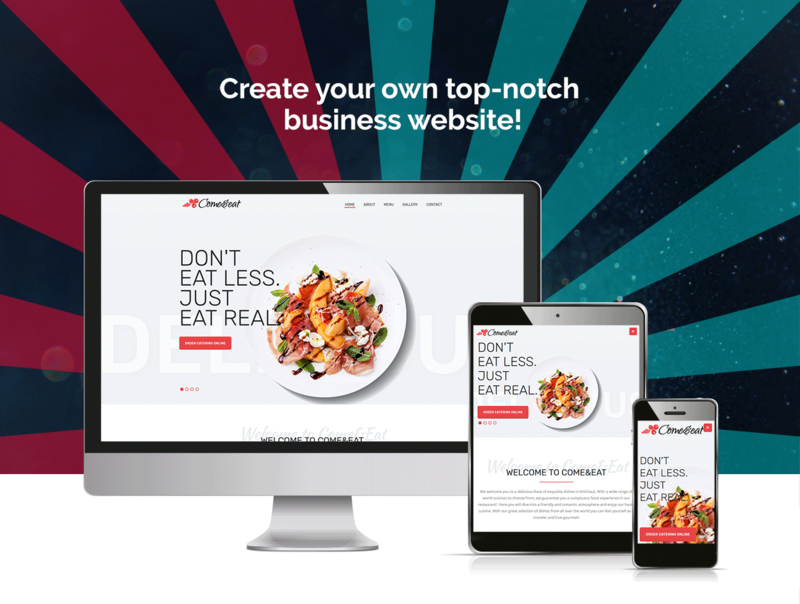 Your website will look creative and attractive with a responsive Come&Eat WordPress theme. very easy to use, good quality. I will buy another one from them. I&#039;m not a developer, but I am pretty tech-savvy. When it comes to building and managing sites, I needed something well beyond WYSIWYG but less intense than custom-build. 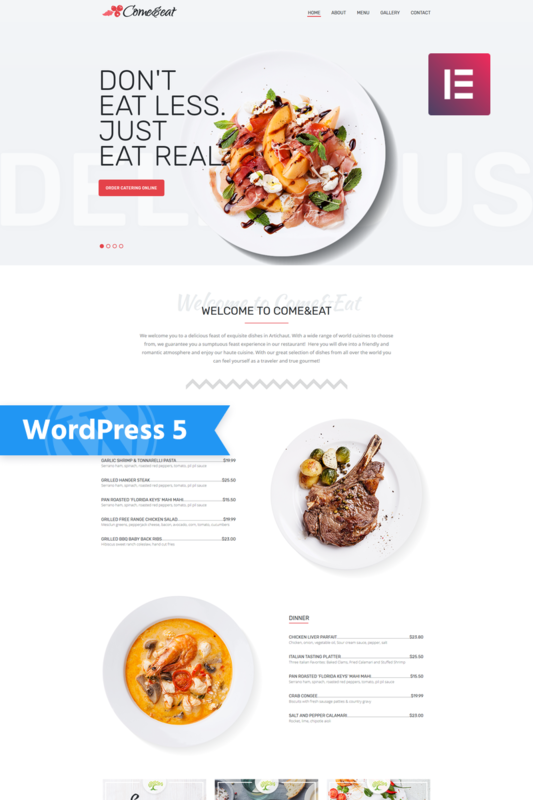 Wordpress hit the sweet spot for a CMS, and Come&amp;Eat theme and ecosystem of other goodies (e.g. Elementor) were a great balance of powerful + simple. I can spin up a customized theme in under a day now that I know my way around ZEMEZ themes.